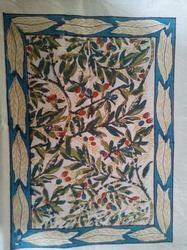 Prominent & Leading Manufacturer from Jaipur, we offer block printed mat, flower printed mat and printed table mat. To meet the needs and requirements of the clients, we are offering a quality tested array of Block Printed Mat, The met we offer is widely demanded amongst the clients for its beautiful patterns and designs. These products are available in the market at industry leading prices. 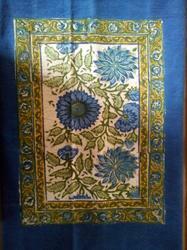 We are presenting a quality tested Flower Printed Mat. The Printed met we offer is widely demanded amongst the clients for its availability in various, designs and patterns. Exclusively designed these products are able to provide extensive look to the met. 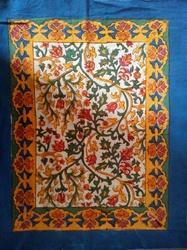 We are presenting a quality tested array of Designer Flower Printed Mat. The Printed met we offer is widely demanded amongst the clients for its availability in designs and patterns. Exclusively designed these products are able to provide extensive look to the mats. 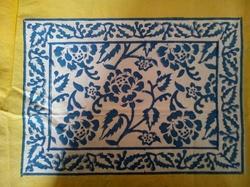 We are presenting a quality tested block Printed Table Mat. The met we offer is widely demanded amongst the clients for its availability in designs and colors. Offered met is designed exclusively as per the requirements of the clients.